A tree removal service can spare you from the stress of personally removing any trees from your yard. It also ensures the safety of your property, eliminating risk and damage from falling branches. 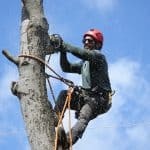 Here at Tree Removal North York, we handle all types of tree removal from the simple to the complex as only a professional Toronto Arborist can do. From tree cutting service to tree removal service, we finish the job effectively and right on time. We make sure that your yard will remain safe, neat and attractive as how you want it to be. It is a tedious and rather risky business to remove a tree on your own. A licensed and certified arborist first needs to assess the tree safety, evaluate if it can be saved or it is indeed for removal. Tree removal is not just about cutting down branches, a skilled arborist and tree removal expert can safely trim and remove trees without posing any damage to property. Trying to perform your own tree removal can be very dangerous especially without the right equipment and experience. Not to mention it can be very hard and time consuming work. 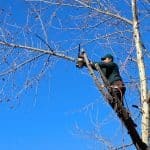 This is why you need the expert service by the Tree Removal North York in this kind of situation. With the help of a professional, you can make a decision if and when there is indeed a necessity to remove the tree. Tree removals are mostly advisable when you have dying or dead trees in the yard. Some trees can also be a hazard, and it may cause injuries or accidents to homeowners if these remain in their property. Tree Removal North York offers a range of services with quality results you can count on. If you are within our service areas including Markham, Toronto, Thornhill, North York, East York, Richmond Hill, Aurora, Mississauga, Scarborough, Keswick, Newmarket, and Vaughan, you can contact us for the most efficient and highly reliable tree service you need. Is there a particular tree in your yard that concerns you? Perhaps the tree is dying, or it is causing damages to your home, or there are just too many trees that lead to crowding? No matter what the issue is, we can provide the best tree removal service that you need. We specialize in residential tree removal service and tree cutting service in Toronto. Aside from that, we also cater to clients in need of commercial tree cutting service, as well as tree removal. Massive trees can be very hazardous to remove. These require special equipment and techniques to make sure no surrounding areas are impacted. But leave it up to the Tree Removal North York to do this job for you. Our professionals are highly equipped with tools, knowledge, and skills that will get that tree removed whether you’re in Markham, Newmarket, Scarborough, or Richmond Hill. We are only a phone call away to get the job done just the way you want it. After cutting the tree, the next step is getting rid of the stump. Tree Removal North York specializes in stump removal to make sure your yard is completely neat. Our stump grinder is a special machine we use to remove the stump lodged deep in the ground. It sounds like a tedious and complex job, but we get it done the best way possible. Just shoot us a message in our contact form, and we will arrive at your property for this service that you need. Perhaps you don’t require a tree removal service, but you simply want to prune or cut the tree. 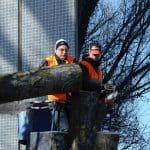 In any case, the Tree Removal North York can take care of these jobs for you. 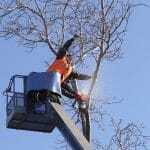 We offer tree cutting service and tree pruning to our clients in Toronto, Vaughan, Mississauga, and surrounding areas who require pruning or cutting of their trees. As experts and experienced professionals in these tasks, we offer nothing but superior quality service that exceeds our clients’ expectations. We recommend regular tree cutting and pruning as a means of tree care. 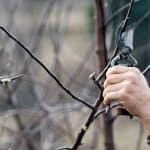 Pruning trees encourages healthier growth and it is also a means of controlling how branches grow. 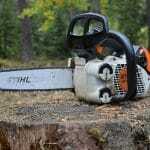 A tree cutting and tree pruning service may also be a necessity when there are crowding issues in the garden. Hiring a North York tree removal service ensures that your trees are properly pruned and safely removed all the time. Arboriculture involves intricate and hazardous tasks, and tree removal is one of them. 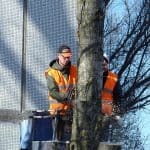 At Tree Removal North York, you can rely on professionals who will help you with this concern. We are licensed and experienced professionals who offer an exceptional tree removal, tree pruning and stump removal services. From the moment you call us to the time we complete the project, we ensure you of your satisfaction. We begin the task by assessing the tree carefully and the surrounding environment. This is how we determine the need for removal. Afterwards, we will start working on the removal process using our special equipment and incorporating advanced techniques. We make sure that throughout the process, your property is well taken care of. We will take care of everything including clearing your yard, proper disposal of tree stumps, branches and other debris. Our team will ensure to leave your property is as clean as we found it. This is our way of providing an excellent service to our clients by sparing them from the headache of the post-removal cleanup process. We do the clean up, so you can go about your own routines without having to worry about anything. At Tree Removal North York, we make sure we give nothing but the ultimate best to all our clients. This has been our goal ever since we started in the business 15 years ago. Our mission and vision have never changed, and we remain to put our clients’ needs as our top priority. We value your time, and we make this evident in the way we perform our job with sheer honesty, integrity, and dedication to providing the finest tree removal service you can count on. At Tree Removal North York, we make sure we give nothing but the ultimate best to all our clients. This has been our goal ever since we started in the business 15 years ago. Our mission and vision have never changed, and we remain to put our clients’ needs as our top priority. We value your time, and we make this evident in the way we perform our job with sheer honesty, integrity, and dedication to providing the finest tree removal service you can count on. We understand that tree service tasks require intricate techniques. This is why it is our pledge to perform this job in an effective and safe manner. We also offer a thorough cleanup service that will leave a minimal impact to your yard and its surrounding vegetation. Our customers are highly important to us. Should you encounter a need for an expert Toronto arborist, please feel free to give us a call anytime. We are here to give you our unparalleled tree removal service whether you are in Scarborough, East York, North York, Toronto, and surrounding towns and cities. Give us a call anytime at 647-557-5136 and we will be there to address your concerns. Saturday and Sunday: 8 am to 7 pm.